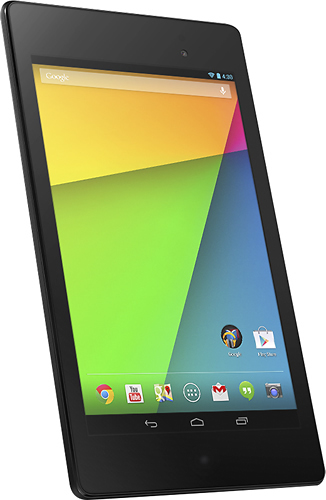 Google has unveiled the new Nexus 7 tablet device that’s thinner, lighter, and complete with Android 4.3 Jelly Bean. It will be priced starting at $229.00 and can be purchased at Best Buy and most likely the Google Play store starting today. 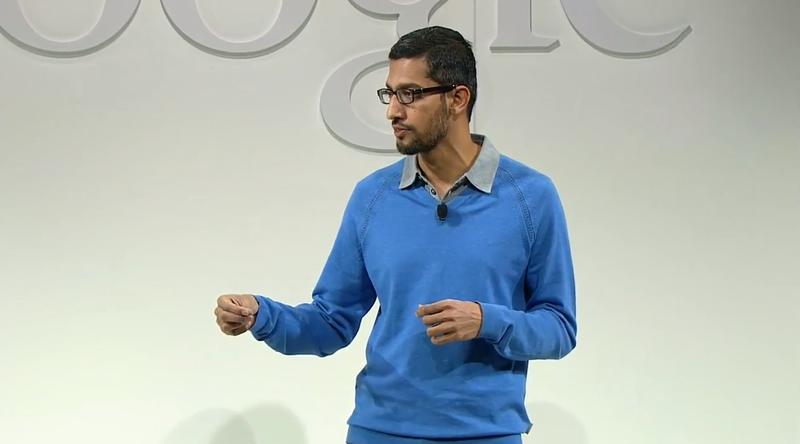 The company’s Android and Chrome chief Sundar Pinchai took the stage to talk about Google’s latest creations. He reminisced about his talk at Google’s I/O developer conference where he says that it’s an exciting time for the computing world. Pinchai touted that the tablet market is growing exponentially — more tablets are being bought than personal computers.With respect to Android, he says that Google is nearing 70 million platform tablet activations. On Google Play, Pinchai says there are more than 50 billion downloads and developers are seeing 2.5 times increase in revenue per user, all from more than a million apps. Since its launch in 2012, Pinchai says the tablet has had much success around the world. Now, Google hopes to follow that up with an updated version. 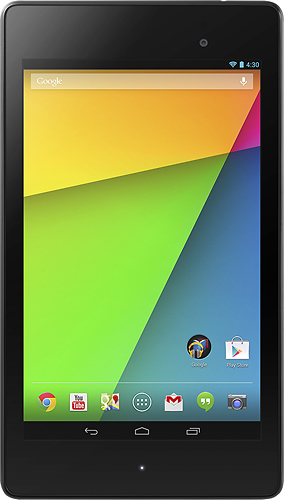 The Nexus 7 is touted as a powerful and portable device while also enabling users to have their information synced through the cloud. 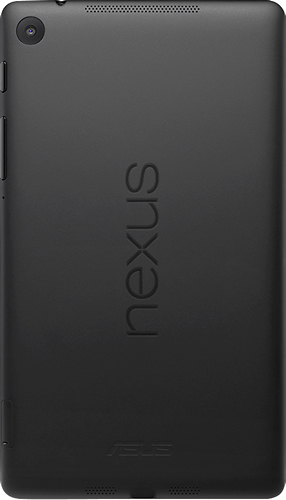 Almost 2mm thinner than the original Nexus 7 and 50 grams lighter. Featuring a true 1080p HD (1920×1200), surround sound with 5.1 Audio, front-facing 1.2 megapixel camera, and 5 megapixel rear facing camera. Includes a 1.5GHz Snapdragon S4 Pro chipset and 2GB of memory. 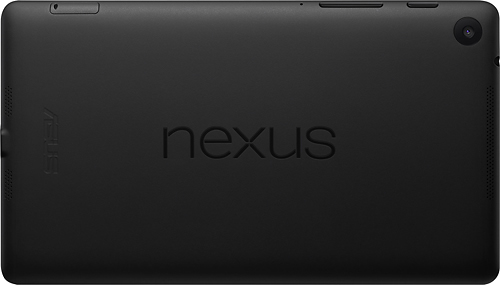 All with longer battery life than the original Nexus 7. 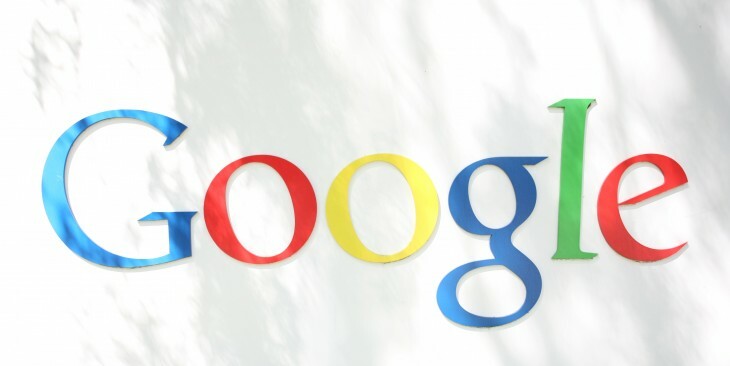 Google says that it focused on core features, including a black finish and glossy details. It is also billed as the “world’s highest resolution tablet” with 323 dpi. 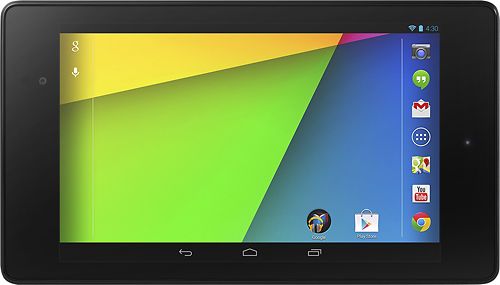 The new Nexus 7 tablet screen size is 1920×1200 (1080p) on a 7-inch display and offers 9 hours of HD video playback and 10 hours of web browsing. The device will be available on 4G LTE on Verizon, AT&T, and T-Mobile. It will have Android 4.3 Jelly Bean, the newest operating system being revealed today. Consumers can select from one of three models: a 16GB, 32GB, and 32GB LTE starting at $229.99. it will be available starting next Tuesday, July 30 available from Best Buy, GameStop, Walmart, Staples, and other retailers, as well as the Google Play store. 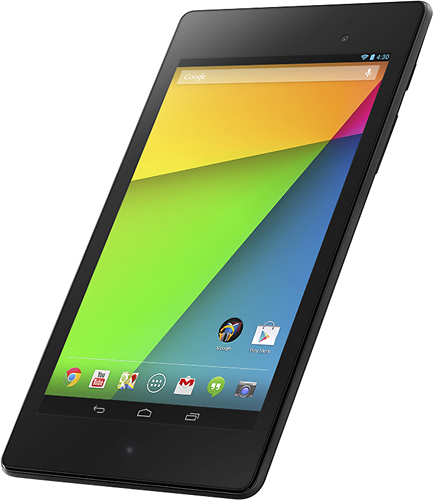 Google is launching the Nexus 7 in the US, France, UK, Germany, Japan, Canada, Spain, Australia, South Korea, and Germany. Many of these features were prematurely revealed yesterday when Best Buy began accepting pre-orders for the 16GB and 32GB device. The news comes following the release of a nonchalant press invite last week which invited people to attend “Breakfast with Sundar Pinchai”.